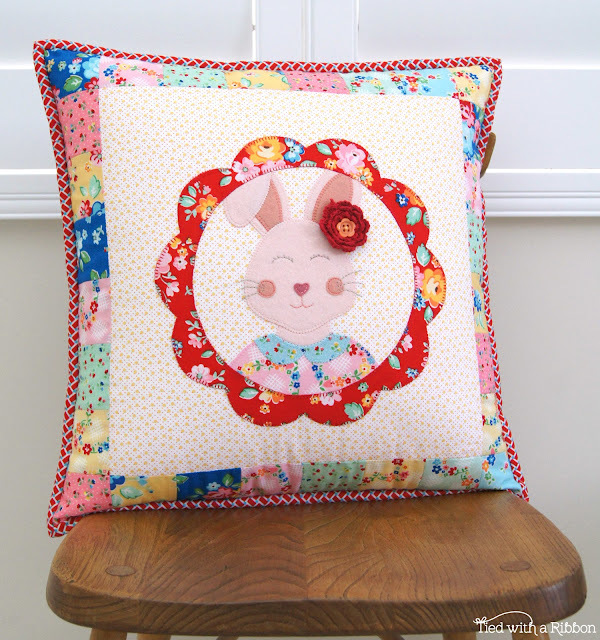 Have you seen the sweet work of Lauren Wright? Lauren is the creative woman behind Molly and Mama. 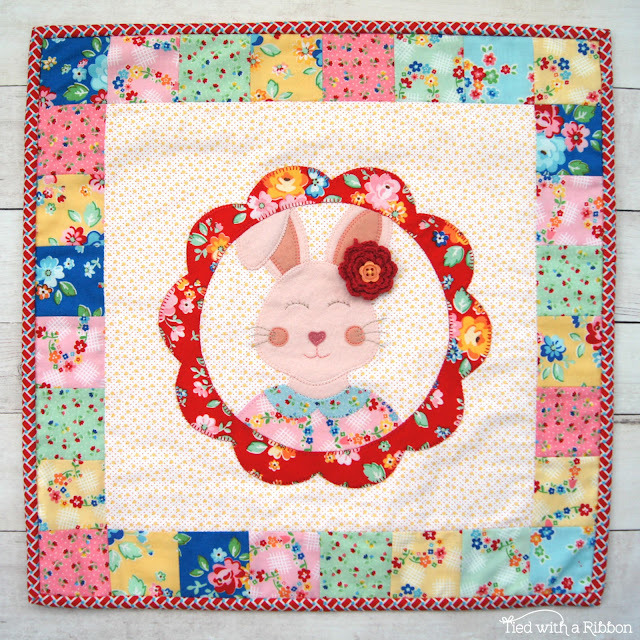 Everything she makes is simply gorgeous and her flair with felt and fabric is second to none. 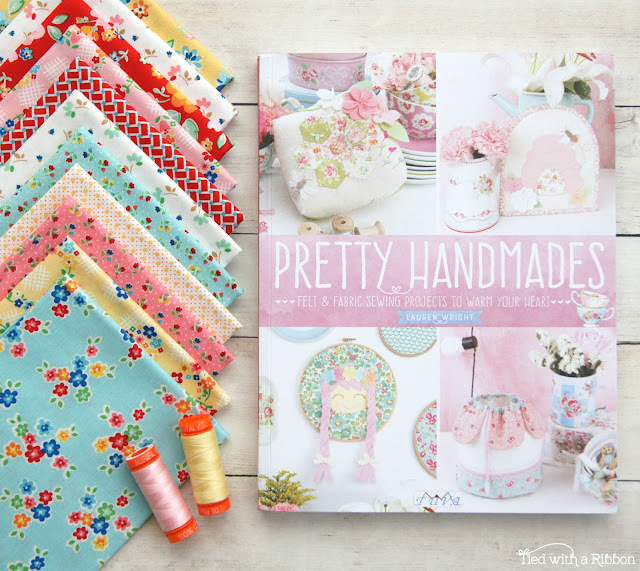 Lauren has just released her first book - Pretty Handmades and I am delighted to have been invited to join in the Book Tour to celebrate its release. 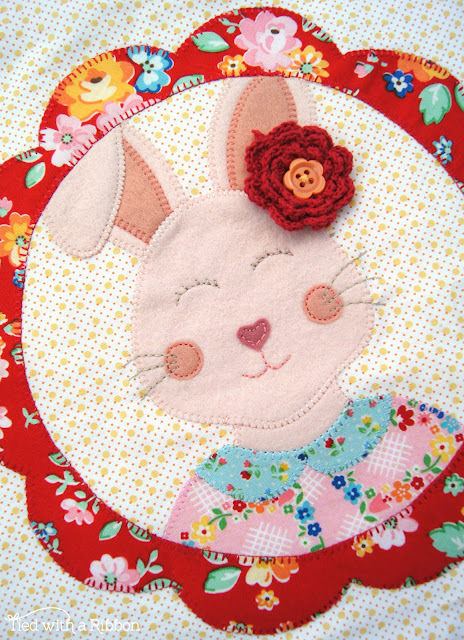 Pretty Handmades published by Tuva Publishing is filled with cute, quick to make projects. From Sewing Accessories, to toys, to kitchen accessories - this book covers all the projects that make fabulous gifts and presents. I knew it was going to be hard to settle on making one project with so many different choices. This book is finished with a Matt cover which really gives it a wonderful atheistic and fell as you move through the pages. 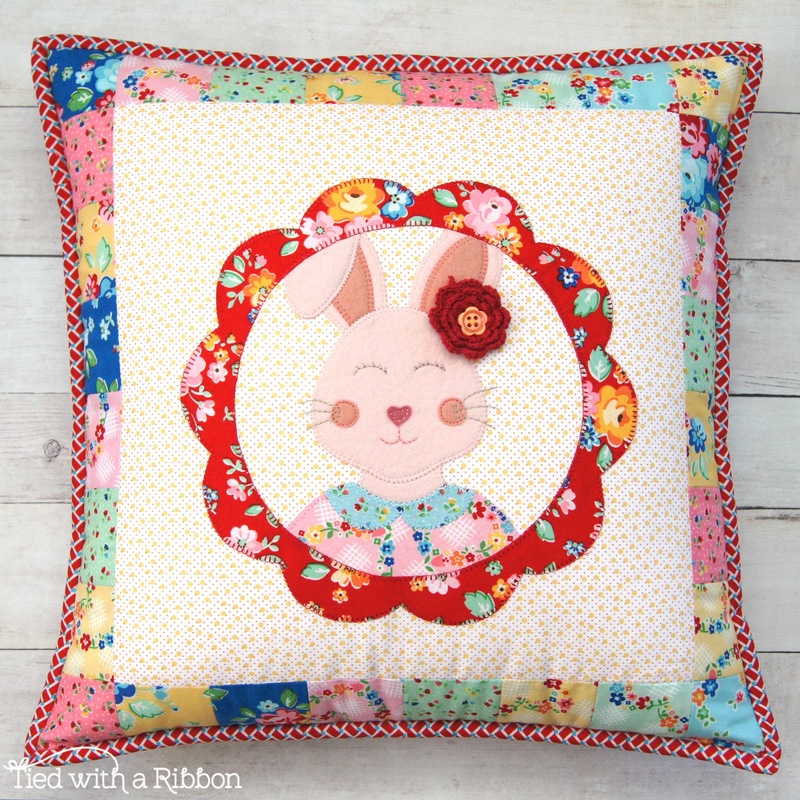 Deciding to make something I could gift (ticking off Christmas presents) I settled on the "Hoppy Squares Table Tidy" that I decided I would turn into a pillow. Lauren instructions are very through and are clear and well written to help you through each step. Recently my friend Nadra had sent me some of her latest fabric range "Arbor Blossom" and I knew it would be the perfect match for this little project. Combining Felt, machine sewing, embroidery and even some embellishing meant that I certainly was in my happy place whilst sewing up this pillow. 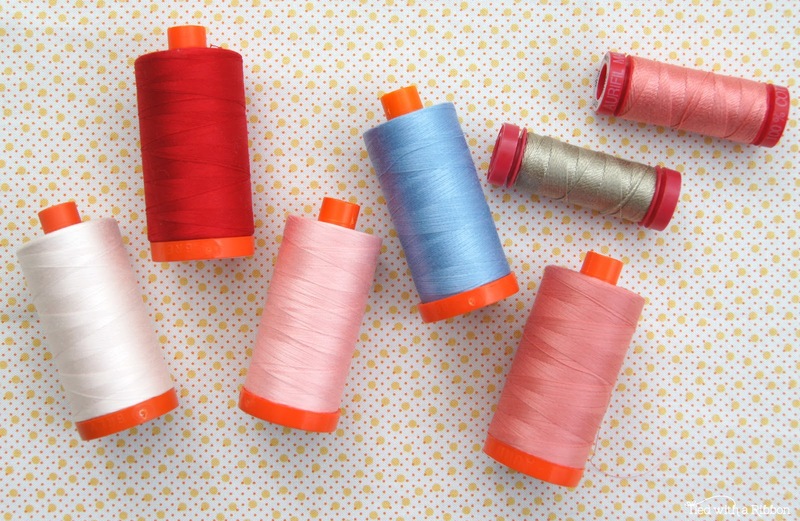 Of course I used my favourite Aurifil threads for not only the machine stitching but also the hand sewing detail. I used 50wt for the Blanket stitching and then 12wt for the hand sewing. My favourite colour to piece with is #2405 Oyster. Although it is tinged Pink - it works so perfectly with lots of colours. Wanting to turn the project into a cushion I used the side squares to add to the top and then a simple envelope style backing was used before finishing off with some binding around the cushion. 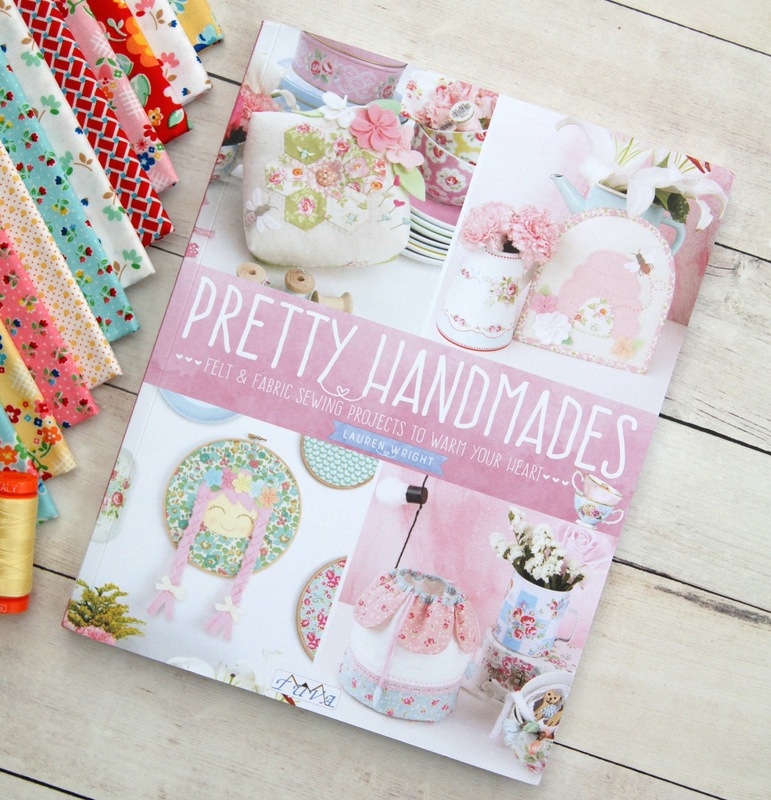 If you love making handmade gifts then you will just love this book filled with lots of inspiration and techniques for not only beginners but also the more advance sewists. Keep a watch out for Lauren's post as she is holding a Giveaway.